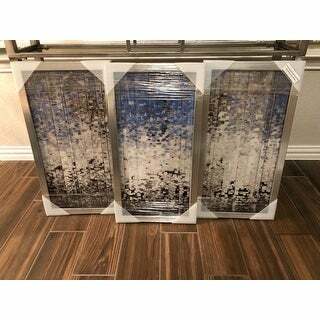 These pieces of art are different than any art that I have purchased before but I really like them. I read the reviews before I purchased them, they’re not for everyone but I have no complaints about them personally. They work will with my decor and I had lots of compliments on them. 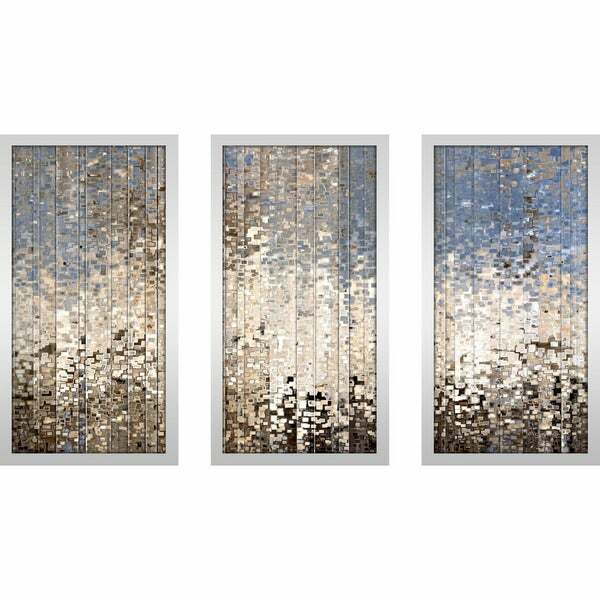 This Digital Photo Print Art Set is created whereby an image is digitally printed directly onto acrylic using a high-speed flatbed printer. The Artwork is produced with excellent print quality with a 6-color plus white UV-curable inkjet system. This artwork has been reproduced from the artists' original piece with written permission. Did I get the correct photo? This piece looks NOTHING like what it does online... it honestly looks like someone took a picture of the real art and uploaded it on a awful picture software that comes on a computer and blew it up and printed it out and put it behind glass.... and this piece was more pricey. I am NOT keeping this. I should have minded the previous reviews on here before I bought it, but I wanted to see for myself. It really does NOT look like it does in the pictures online. It looks like it’d be metallic/shiny and have some texture and depth to it but it doesn’t. Instead it looks like a cheap knock off. I may return it, the only reason I considered keeping it is because the frames are the right size for the space that I wanted to put them in, but then I noticed that they aren’t even actually silver frames, they are black frames with a type of silver wrapping on them that’s already coming loose (which you can see on the center picture, near the bottom right)!